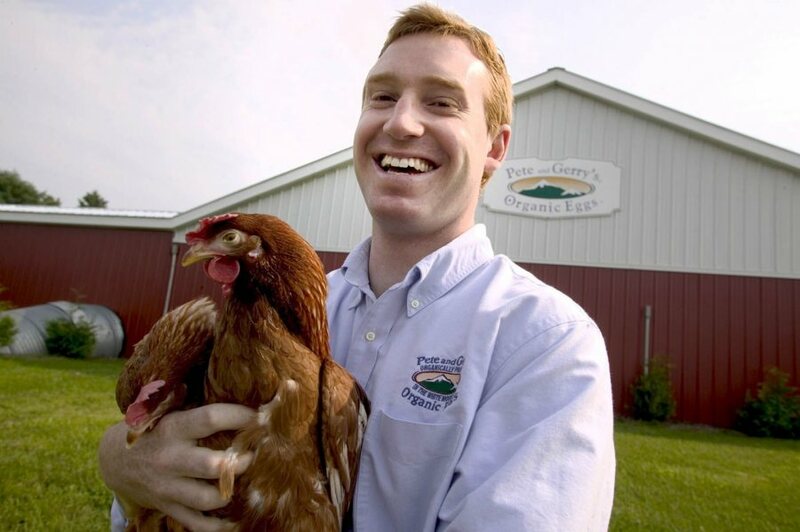 After the Trump administration rolled back a new definition of what an organic egg is, PBS NewsHour interviewed Jesse Laflamme ’00, CEO of Pete and Gerry’s Organic Eggs. The new rule, created late in the Obama administration, would have required organic egg producers to give their hens access to soil. Now, producers can continue to label eggs as “organic” if hens merely have access to sunlight, such as in a porch-like enclosure. Actress and alumna Pamela Dubin, a native of West Hartford, Conn., returned home for a screening of Abe and Phil’s Last Poker Game, featured in the Mandell JCC Hartford Jewish Film Festival. In the film, in which she stars alongside Paul Sorvino and the late Martin Landau, Dubin plays a nursing-home volunteer who grows close to Landau’s character, Abe, who is a resident of the home, as is Sorvino’s character, Phil. “It’s about aging at every level. She deals with age. He deals with age. 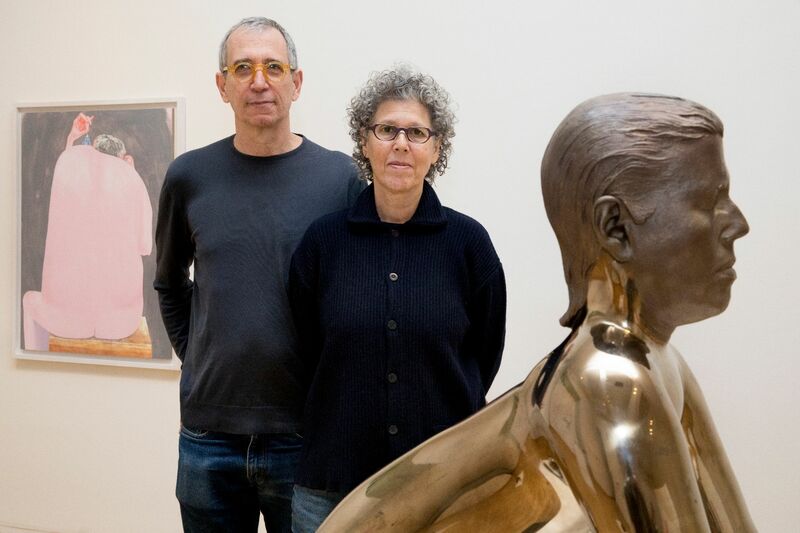 It’s about how our society does not deal with age,” Dubin told the Hartford Courant. 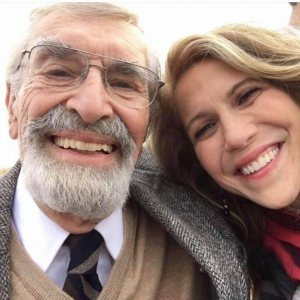 Pamela Dubin and Martin Landau pose for a selfie on the set of Abe and Phil’s Last Poker Game. “It was just the most beautiful role. I love this character,” Dubin told the Connecticut Jewish Ledger. The film will be screened April 22 in Nyack, N.Y., as part of the JCC-Rockland Jewish Film Festival. Efforts to “downplay the role of mental illness in mass shootings are simply misleading,” writes Bates criminologist Michael Rocque in the Los Angeles Times, pointing to media coverage that tries to do just that. The nation’s leading liberal arts colleges, with Bates at the fore, are introducing digital and computational courses that “push students to examine how modern technology both changes and challenges society,” says reporter Rosanna Xia of the Los Angeles Times. Heather Goldstone, science editor at Cape Cod public radio station WCAI, interviewed Cindy Voisine ’89, an assistant professor at Northeastern Illinois University, about her journey into biological research and why she uses a lowly worm known as C. elegans in her research. Voisine studies aging and the diagnostics of certain diseases. Though worms are, well, worms, “we’re very similar to worms on a cellular level,” she said — a large number of neurons means a large number of behavioral responses. And worms only live for three weeks, meaning a valuable study on aging doesn’t take long. A native of Fort Kent, Maine, and a first-generation college-goer, Voisine originally wanted to be a medical doctor, but it was at Bates that she decided to pursue a career in research, she told Goldstone. 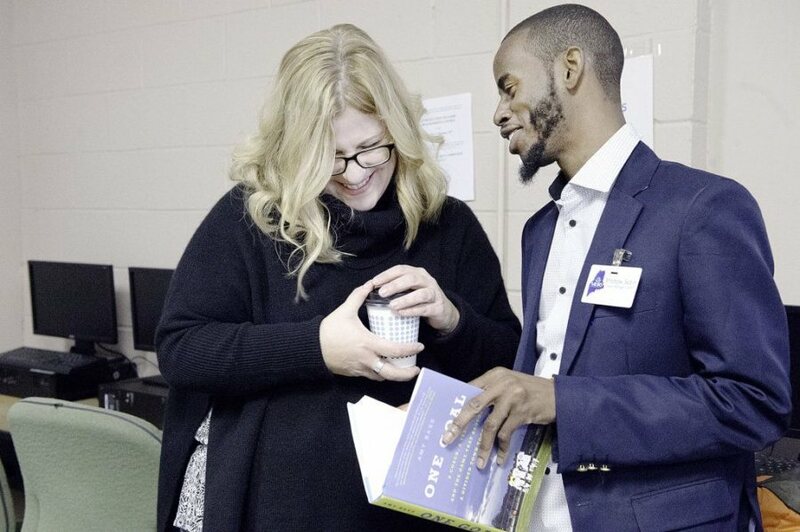 Amy Bass ’92 returned to Lewiston to write One Goal, a book about how the Lewiston High School soccer team and its many Somali members won the 2015 state championship and provided a mode of unity for a town grappling with racism and xenophobia. The story was widely publicized in February and March, appearing on The Today Show, The Christian Science Monitor, Maine Public, WNYC’s The Takeaway, and Sports Illustrated, among other local and regional outlets. Washington Business Journal’s Katie Arcieri took a tour of Yelp’s new D.C. office and interviewed its senior director and head of sales, Ali Howard ’10. What Howard’s helped build is pretty swanky: “open-air floor plans, modern furniture, a large kitchen stocked with free snacks, a beer keg for on-tap drinks, and two game areas with a pool table, ping-pong and air hockey,” Arcieri writes. The new space is much like Yelp’s other offices, and the expansion is part of Yelp’s effort to recruit talent in D.C. and the Southeast. 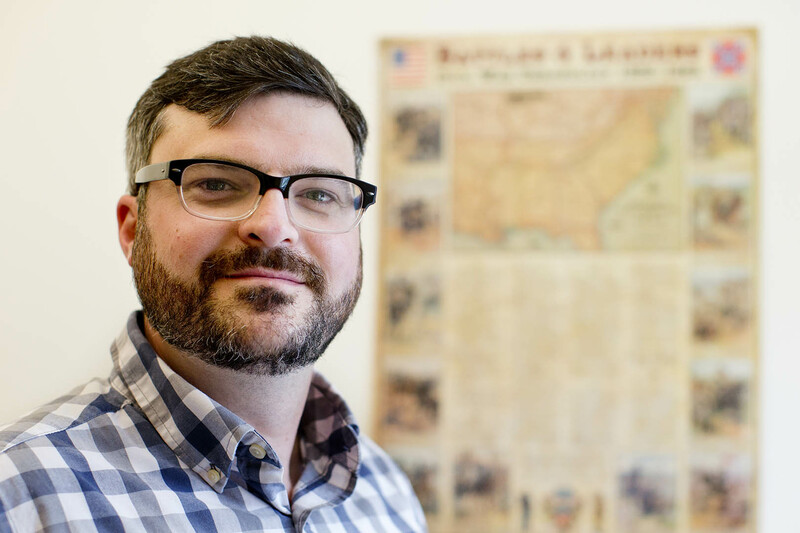 Evan Medeiros ’93, a top Asia-Pacific advisor to Barack Obama, told The New York Times that a proposed meeting between President Donald Trump and North Korean leader Kim Jong-Un would be risky. It’s a busy time for Asia-Pacific experts: The Trump administration imposed tariffs on China, Chinese president Xi Jinping was granted additional powers, and North Korea threatened a nuclear strike, then asked for talks. 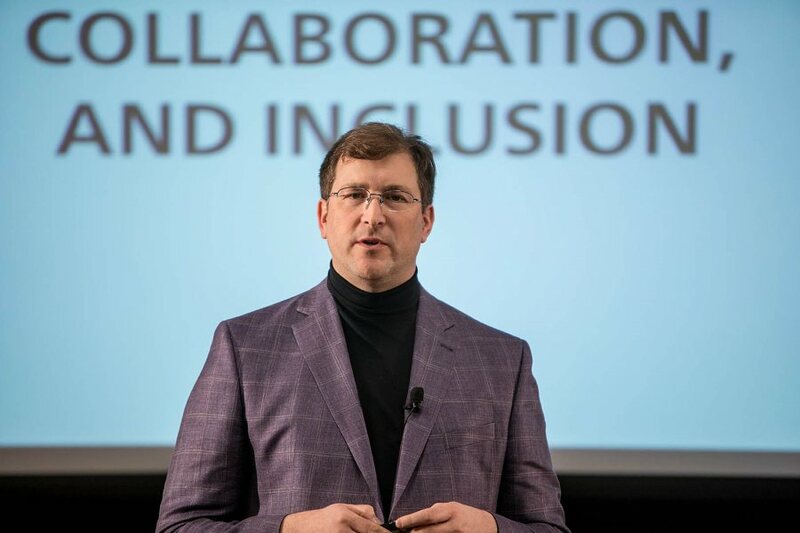 Medeiros has been quoted widely in recent weeks, in publications ranging from The Irish Independent to Bloomberg to The New York Times. Burakowski had a “versatile” track career at Bates before moving to China to teach English. She earned a graduate degree in the U.K. and worked in the art world, then returned to Massachusetts as an art teacher. She spends her spare time competing as “Hellderly Spinster” with the Sakonnet River Roller Rats and the Killah Bees. The Providence Journal’s Christine Dunn reports that SquashBusters, a Boston-based squash program for middle and high school students that also feeds players and supports them academically, started a team in Providence, R.I.
Cycling news and livestreaming platform FloBikes called Al Donahue ’99 “a go-to coach” for cyclocross. Donahue, who lives in Easthampton, Mass., got into cyclocross, a form of cycling that involves racing on a variety of terrains and often carrying the bike over certain obstacles, in his 20s. His first client was Jeremy Powers, one of the top cross racers in the country.